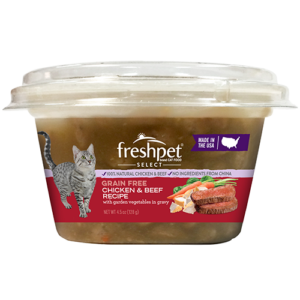 We stumbled upon Freshpet (chicken and beef logs) just by chance at our local grocery store (when our online ordered of dog food didn’t arrive on time). What an amazing discovery.. our 16 month old golden doodle loves it.. it’s packed with all the nutrition he should be getting.. most importantly the fiber! We’re pleased with this product, ease of availability 7 most importantly it works really well for our pupper so far.